Unplugged Expo is just a few days away, October 26th and 27th in Toronto. 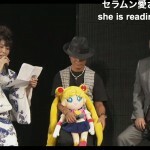 There are a few exclusive items related to their Sailor Moon 20th Anniversary celebration that seem worth picking up. 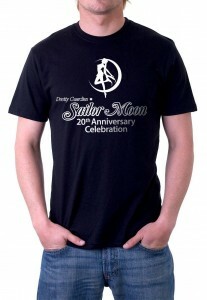 These 20th Anniversary exclusive t-shirts by Chop Shop Goods will be sold at the show for $20. Another exclusive, this great looking pinup poster, is just $10. This would be a great item to get autographed by the many voice actors in attendence. It’s by artist Jon Lam. For more of his stuff check out his Facebook page, twitter page or personal web site. Voice actors will also have other items available for sale to get autographed at their table. Postcards will be $5, headshots will be $10 and posters will be $15. I’ve also gotten more details about the Sailor Moon DQ panel which is taking place Saturday at noon. 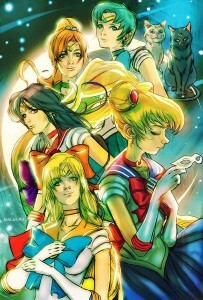 This will be a panel focusing on the music from the English dub of Sailor Moon. 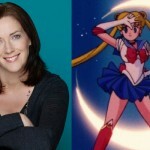 And of course don’t forget to show up for the Sailor Moon voice actor panels on Saturday at 2pm and Sunday at 1pm. 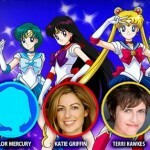 This will be the largest gathering of Sailor Moon dub voice actors in convention history. Think of a good question to keep the panel interesting. I’ll see you there! Preregistration for the convention is closed but you will be able to buy tickets at the door. It’s $30 for a weekend pass, $20 for Saturday only and $15 for Sunday only. 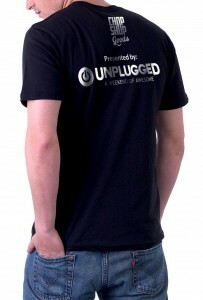 This entry was posted in Conventions, Merchandise and tagged T-Shirts, Toronto, Unplugged Expo by Adam. Bookmark the permalink.